This is not the first email provider to have a launch a drag and drop editor, so Komal Helyer of Pure 360 was so kind to answer a couple of additional questions. What do you think the Pure developers did better than other DnD editors? We really focused on the use experience for the marketer. Those marketers who are time poor, who have high dependence on Designers and Developers to be able to craft a good looking email. The Drag & Drop Editor allows Marketers to quickly and easily create good looking emails, without writing a single line of HTML. Emails produced in the D&DE conform to best practice; this means that they will render and be delivered to into email clients consistently and successfully. 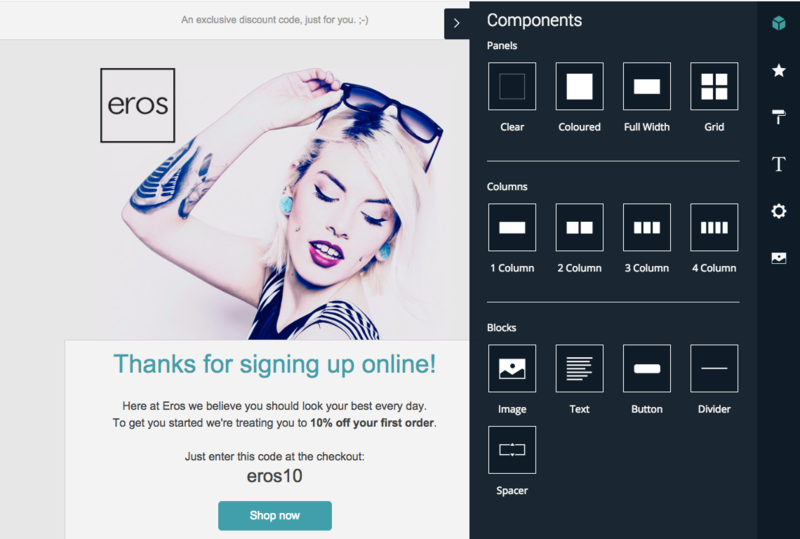 What are the main features of the new Drag & Drop email campaign Editor? 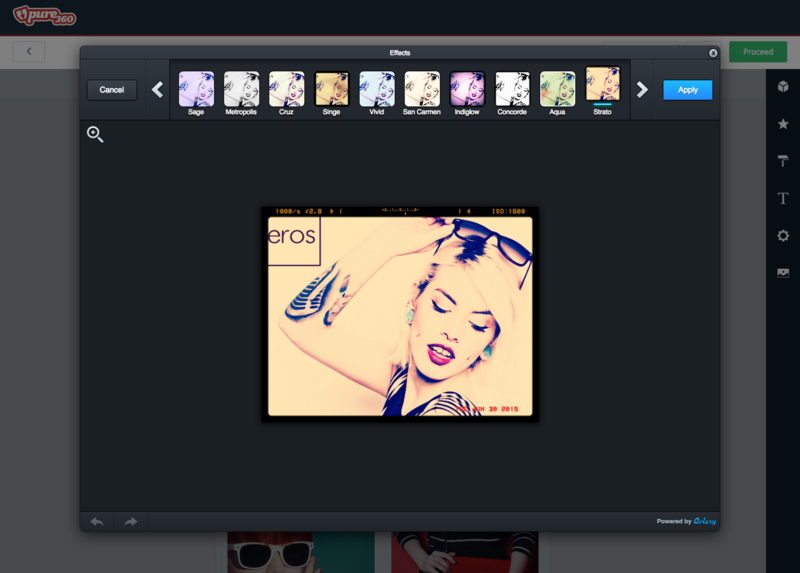 All content is editable directly from the canvas, giving you total freedom over image size, effects, orientation and text. You see what is going on. Options and tools are only presented when you need them, reducing confusion and over-complication. Create additional templates for testing purposes to determine what recipients want from your emails. Every detail of the email is customisable and can be personalised, including filters, colour, button size and shape and background options. With a feature dubbed Panels, marketers can mix and match email styles and layouts, within an email. Giving marketers the freedom to play around with it. You can add or remove columns, change layouts or duplicate sections, even after completing your email design and while keeping your content. How is the code generated? Can I edit / convert / export to html? HTML for the Email is produced as you create it in the D&DE; What you see in the editor is what your clients will see when it lands in their inbox. You can’t currently edit or export the HTML the D&DE creates. Customers still have access to a HTML and Visual editor, but this lives separately from the D&DE. How does a user deal with code bugs / rendering problems? Any bugs and rendering issues are handled by our development team; they identify the cause, apply a fix to the D&DE, that fix is subsequently applied to the message when the user next opens it. This way all customer benefit from the bug/rendering issue fix, and we ensure that the HTML still conforms to email best practice. What is the next version / iteration going to add? In the immediate future iterations users can expect features that help them create messages quicker for example, duplicate, apply styles to all components of the same type. We take a user centred approach to our design and product development. We are monitoring feedback and usage to know what it is our users want next; is it more templates? Is it a dedicated social block builder? Is it keyboard shortcuts? Time will tell but ultimately our customers define the priority of improvement and features, and we will be iterating often to improve the experience for our users. Email marketing company Pure360 provides email marketing and sms campaigns based on their platform PureResponse.